Some of the basic purposes for which this loan is granted include to set up a clinic or X-Ray Lab, buying new clinical equipments or for expansion, renovation, or improvement of existing clinic and many more. Banks specify the purpose for which they are willing to grant this loan. Doctor loans are secured as well as unsecured in nature. In case of unsecured doctor loans, banks usually follow their own set of policies before sanctioning a loan. If the medical practitioner does not fulfil the eligibility criteria of the bank, the bank may reject his/her loan application. There are few tips which will help you to improve your chances of getting your loan application improved. Improve Credit Score – It is very important to check and calculate your credit score before applying for this loan. It is important to consider because having a lower credit score may increase the chances of getting your loan application rejected by the lender. Whereas, a higher credit score above 750 increases the chances of getting your loan approval with a lower interest rate. Avoid multiple loan applications – Sometimes, a customer applies for a loan with multiple number of banks to improve their chance of getting a loan on time. However, applying for multiple loan applications increases the probability of the loan being rejected as each query gets captured in your credit report and multiple queries can adversely impact your CIBIL score. Choose your Bank wisely – Many banks and finance companies offer professional loan schemes at an attractive rate of interest. So, before taking this loan, you are advised to do a thorough research that are offering best rates on doctor loan. You should strive to idenitfy the bank which offers fast service with low interest rate. In some cases, you may opt for banks which offer high eligibility at higher interest rates, if you have a higher loan amount requirement.You should also evaluate your ability to service quantum of loan repayments from your monthly cash flows. Negotiate and apply for a loan through online market places to get best deals on rates and processing fee. Business Existence – Banks will consider giving a loan to doctors with minimum 3 years of practising experience either as a salaried or a self practioner. If your practice is new and loss making, then the chances of your application getting approved is reduced. Apply for a loan amount based on your repayment capacity – Determine the loan amount that you can easily repay in future. If you apply for a loan amount which is higher than your eligibility, it can create doubt in the mind of lender and lead to rejection of your application. So, make sure you choose the correct loan amount that you can comfortably service. The assessment of monthly repayment capacity is even more important for self employed doctors as it is difficult to assess the minimum monthly income which can be fairly fluctuating. Maintain proper accounts and financial information- It is extremely critical that you have your GST registration in place. Also, it is advisable to keep audited record of your financial statements, as the same are an important set of documents referred to by the bank at the time of calculating your eligibility. Ensure that you receive and deposit your fees into your bank account and also make payment through bank accounts as it allows the lenders to get a real understanding of your monthly inflow and outflows. In summary, try and reduce the level of cash transactions in your practice. Lenders will scrutinise the bank statements of self employed doctors before taking a decision to lend. Regularly check your CIBIL Score - A good CIBIL Score is very important to qualfiy a loan for doctors from the bank. Generally, banks consider a CIBIL Score of 750 and above to get this loan. So, it is advised to access your credit score report on a regular basis and do regular timely corrections in your report in case you borrow frequently from the banks. Loan for Salaried Doctors: The loans are taken by those medical practitioners who have a regular source of income along with a minimum qualification of 5 years. Loan for Self Employed Doctors: These loans are taken by those doctors who have their own practice and they intend to expand their medical clinic or hospital. Loans for hospital and nursing homes: These loans are given to those who want to set up a new medical clinic/hospital/ nursing homes or want to renovate their existing hospital premise. Why do I need loan for doctors? This loan is usually taken to set up your own clinic/ hospital. Generally the purpose of this loan is to set up a clinic/hospital, X-Ray lab or a diagnostic centre etc. 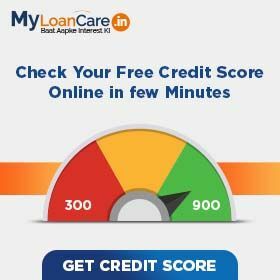 You can get this loan from various banks but with a good CIBIL score and also make sure to repay back all your loan dues on time to maitain your credit score. How can I apply for professional loan for doctors? You can apply in several ways. You can directly visit the bank branch and meet the sales person, contact a loan agent or apply online at any bank or NBFC’s website. You can also compare best interest rates of all banks online to apply for this loan. What are the eligibility requirements for availing a loan for doctors? What are the documentation requirements for availing loan for doctors? Is CIBIL Score important for availing loan for doctors? CIBIL score is very important for availing this loan. You must have a Good CIBIL score in order to avail a loan for doctors. As it indicates good repayment record and hence banks can offer you higher loan amount at low rate of interest. Bad CIBIL Score will result in either loan at higher interest rate or rejecting the loan application. Do banks offer pre-approved loans for doctors? Yes, few banks provide pre-approved loan for doctors, but it depends on the number of factors like their existing bank account, CIBIL score, income level etc. What are the end uses of loan for doctors? How do I repay my loan for doctors? You pay the loan in equal monthly installments (EMIs). The loan will be paid through post-dated cheques. You may also pay your loan through the Electronic Clearing System (ECS) or a standing instruction to debit your Bank account with the EMI amount. Which banks in India offer specialized loan for doctors? What are the charges of availing loans for doctors? Processing fees : This fees is charged when you apply for a loan. The processing fee can range between 0.50% - 2.50% of the loan amount and can be negotiated down, if you bargain. 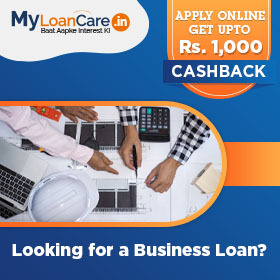 If you approach the bank through an online market place like www.myloancare.in, we will help in negotiating with the bank and also, offer attractive cash backs on sanctioned loan amounts. Sometimes, we also get to offer exclusive loan schemes on behalf of the banks such as nil processing fees for our valued customers. Prepayment penalty : Amount which borrower is supposed to pay as a penalty in case of early loan payment. If you repay a bigger loan early, then it will generate expected return at lower than anticipated amount. This amount is collected in the form of interest. Banks generally levy prepayment charges from nil to upto 5 %. Nowadays, almost all banks offer attractive schemes on Doctor Loan at competitive rates with many customer friendly features. You can do rates comparison, check your eligibility, calculate EMI, apply online and get the best Doctor Loan rates. MyLoanCare helps you throughout the loan process from the day you apply to the time you get disbursement. You can register with us, track your loan status on a regular basis and get an option to earn attractive cashbacks and refer and earn benefits.